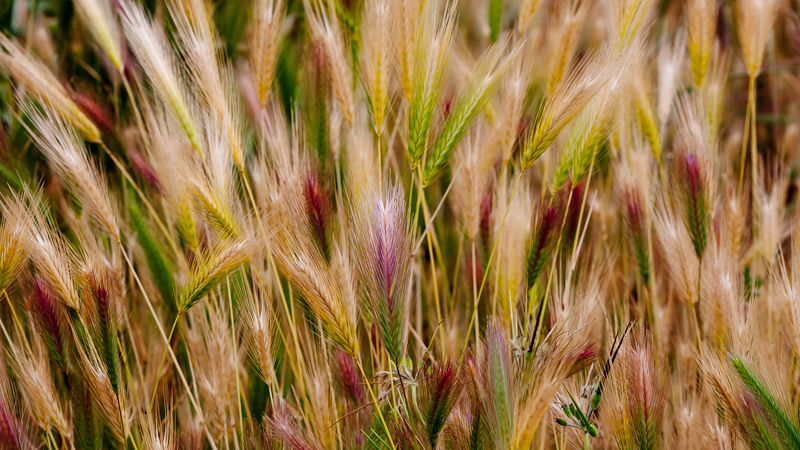 This is simply a photo taken in a field of invasive weeds we call foxtails. You should have seen the looks I got while taking this shot: What in the world does he (read, this idiot) see worth photographing out there? But the world of small things can make wonderfully interesting images! As you might guess, I love the colors here. Haven't had the chance to get away just yet for a weekend photo trip this Spring. So I've been making up for it by taking shots of local color with my macro lens.